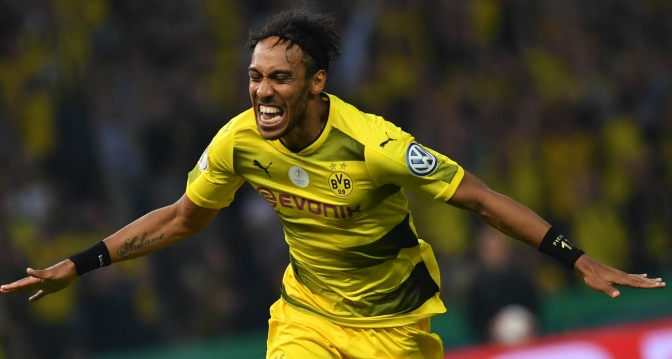 Earlier, Peter Stoger, the Borussia Dortmund manager insists there was no concrete offer for him and that the player is still very much in his plans, although Aubameyang trained with the senior team before the Hertha Berlin game, but he has since been training with the reserve team. The initial bid is around 50m Euros, which is widely acknowledged to be inadequate to sign him by most commentators, as his current contract runs out in 2021. However, this is an opening bid, a 60m Euros bid is expected to be enough if the various sources following the issue are to be believed. Meanwhile, we have not heard the last about Malcom, Arsenal pulled out of the race to sign the bordeaux player, sighting lack of experience, it is now believed that Spurs are going to get him although no official bid as of yet.